All the best photos from John Legend's birthday party. Just all the best photos from John Legend's 'Casino Royale' themed birthday extravaganza. 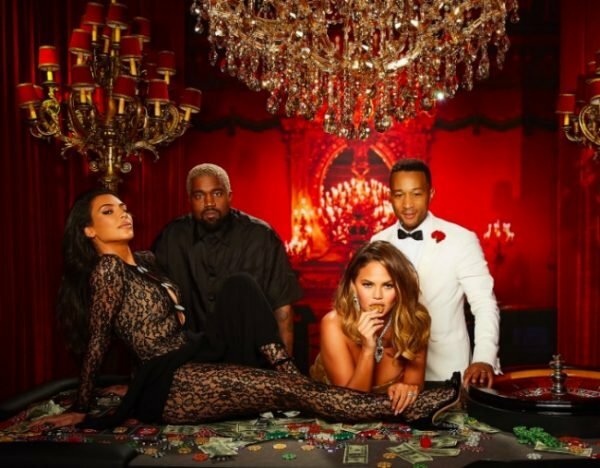 If you’ve been anywhere near Instagram in the last few days, you might’ve seen the extravagant affair that was John Legend’s Casino Royale themed birthday party. Turning 40 on December 28, the singer and father-of-two celebrated his birthday milestone in the most excessive and glamorous way possible over the weekend. Alongside his wife Chrissy Teigen, John was joined by Kim Kardashian, Kanye West, Kris Jenner, Kourtney Kardashian among other friends at the over-the-top event. Since the big night, Kim has shared some Casino Royale-esque photos from the event on Twitter and Instagram. While Kanye and John each donned black and white tuxedos respectively, Chrissy wore a sparkling gold sequin dress which fit the theme perfectly. The two couples have been friends for years. Image: Kim Kardashian/Twitter. Everything is so... over the top. Image: Kim Kardashian/Twitter. Kim and Kanye also got a couple&apos;s photo, of course. Image: Kim Kardashian/Twitter. 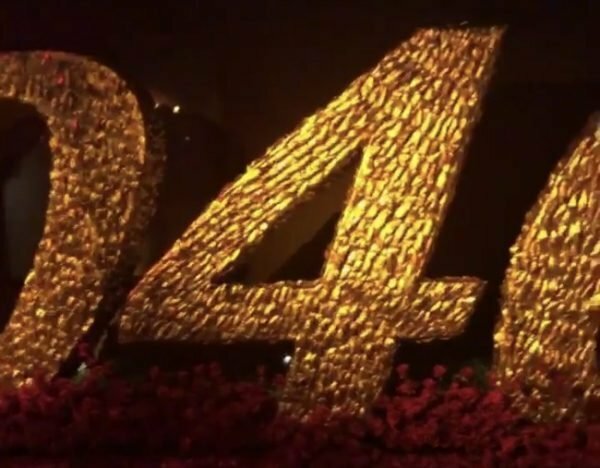 Kim also shared a sneak peek of the party&apos;s decorations on her Instagram Stories, including a giant James Bond style gold &apos;40&apos;. 040. Image: Kim Kardashian Instagram. 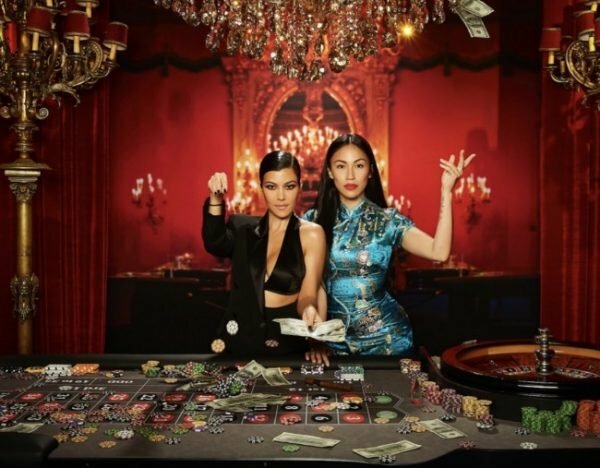 Kourtney Kardashian also attended the event, sharing a snap of herself posing behind a poker table covered with poker chips and dollar bills. So fancy. Image: Kourtney Kardashian/Instagram. We really want to know if they actually gambled... Image: Kourtney Kardashian/Instagram. Prior to the party, Chrissy asked her fans which tuxedo the couple&apos;s seven-month-old son Miles should wear to the party. "Okay guys. Throwing John&apos;s 40th birthday party tonight but need your help dressing mini-John. Which one!" she wrote. In the end, Miles wore the adorable white baby tuxedo. The couple&apos;s daughter, two-year-old Luna, was also dressed up for the occasion, wearing a gold dress like her mum. Heading to the Critics&apos; Choice Awards the day after the big night, Chrissy admitted that attending the awards was a "big mistake". "Oh, my God, this is my bed, and I have to get ready for Critics&apos; Choice," the hungover 33-year-old said in an Instagram Story earlier today. "Wait, is it People&apos;s Choice? I seriously don&apos;t know," she added. Oh, Chrissy. We feel you. What do you think about John&apos;s extravagant party? Let us know in the comments section.